We have been leading purveyors of fine art since 1984. We specialize in European prints and drawings from Goya to the present. 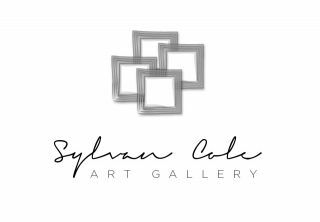 Our founder, Sylvan Cole (1918-2005), was the dean of American print dealers and the force behind the creation of the IFPDA, the first (and still the most important) professional organization of print galleries. He believed in print-collecting as a fundamentally democratic hobby, and thus made sure to have inventory for all budgets. We continue that tradition. Our director is a leading expert in connoisseurship, who has published numerous books and scholarly articles about art and rare books. We hold important collections of the drawings and prints of William Kentridge, Pablo Picasso, Joan Miró, Alexandra Exter, and Masafumi Yamamoto. We also handle contemporary Catalan prints (Hernández Pijuan, Ràfols Casamada, Riera i Aragó, Guinovart, Borrell Palazón, Ponç, Tàpies, and others), all of which we sell at deep discounts (60-75% below official prices). We also have a large stock of catalogues raisonnés and other reference works, focusing on modern prints and illustrated books. Only a fraction of our inventory is listed online, so please inquire. All items guaranteed authentic and returnable for ANY reason. We are internationally-recognized experts on collection development. Starting this week, we are offering some exciting (and very large and colorful) new photographs by Margarita Bohórquez, a Colombian photographer working in Paris.